A powerful tool for understanding the complex demographic, religious, and cultural changes occurring in the United States today. Public Religion Research Institute (PRRI) is a nonprofit, nonpartisan organization dedicated to research at the intersection of religion, values, and public life. Recognizing the need to provide a more complete portrait of substantial diversity of opinion, identities and values across the U.S., PRRI launched the American Values Atlas in late 2014. 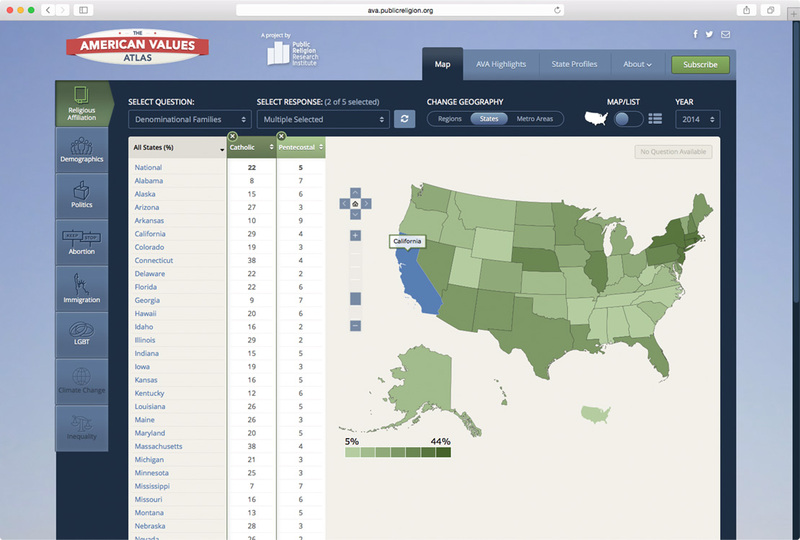 American Values Atlas is a dynamic, ongoing project. Each year, PRRI conducts a new wave of approximately 50,000 interviews, which provide an up-to-date view of America's changing religious, cultural, and political landscape. 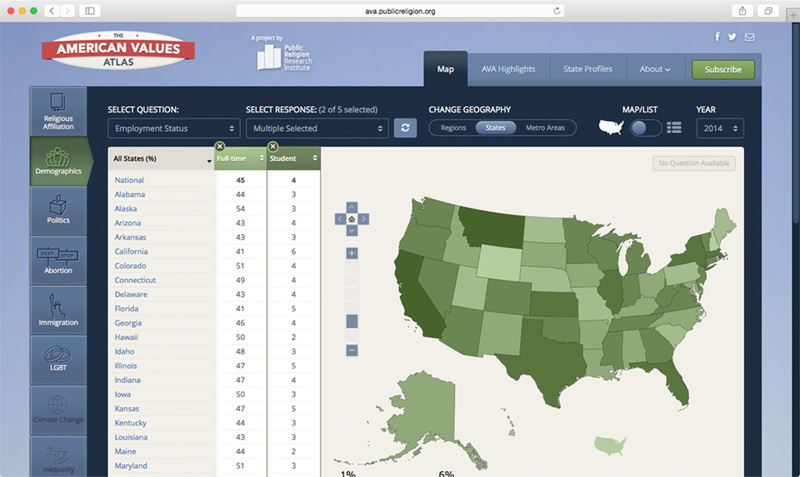 The American Values Atlas is an invaluable tool for journalists, teachers, clergy, policymakers, and anyone who is interested in exploring the changing American landscape. The American landscape is diverse and unique. 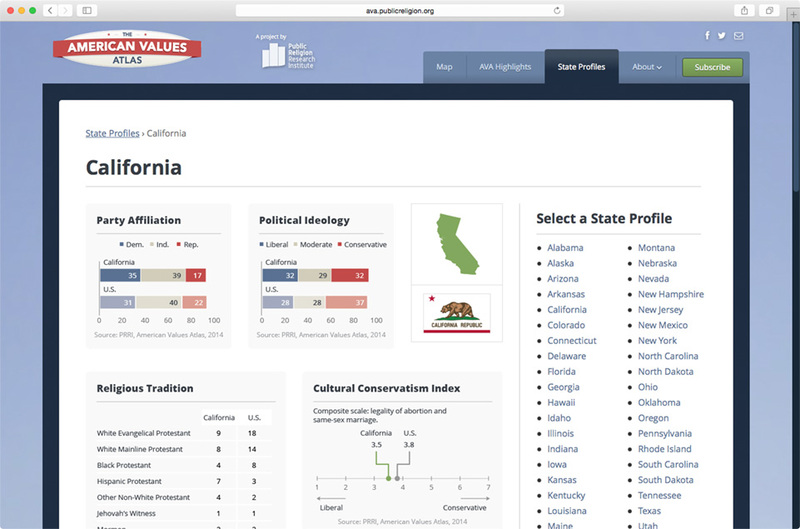 With State Profiles, The American Values Atlas provides the viewer with an accurate snapshot of a specific state. Becoming a member is as easy as making a donation. These donations are an important piece to the puzzle, because they help support the collection of new data and additional research. The quality and quantity of data that The American Values Atlas provides its visitors is very insightful and important to understanding the views of the American people. 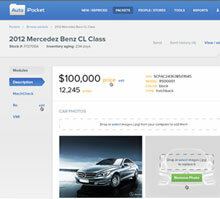 Displaying a large amount of data in a concise and simple way can be tricky. 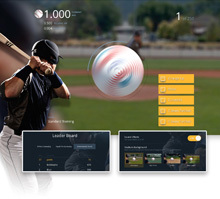 We helped make it possible and now they can beautifully display their data for the world to see. 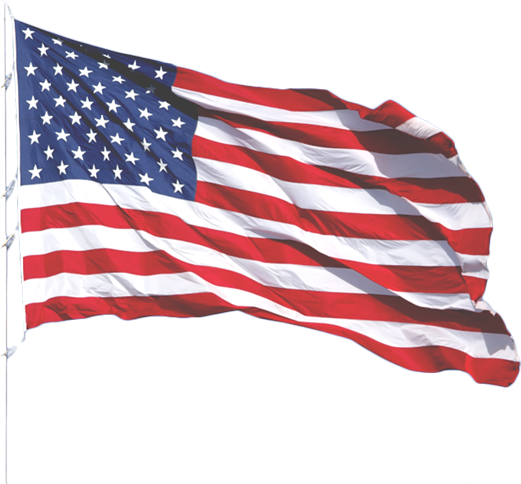 To find out more about The American Values Atlas click here.